Martha Sims-Wilson has been a member of Zeta Phi Beta Sorority, Inc. since 1993, when she began her Zeta journey in Upsilon Chapter at Delaware State University. Upon graduation, Martha transitioned into Theta Zeta Zeta Chapter in Dover, Delaware where she has been active since 1995. Prior to her appointment, she served as Phylacter for the State of Delaware and Basileus of Theta Zeta Zeta Chapter. In addition to receiving her Bachelor’s Degree in Political Science from Delaware State University, Soror Sims-Wilson earned a Master’s Degree in Public Administration from Wilmington University. Professionally, she has spent the last 15 years in the field of Distance Education and Learning Technology and is currently employed as an Instructional Designer with Delaware State University. A Zeta legacy, Martha is the daughter of Triumphant Soror Carrye M. Sims, the sister of Soror Charyn E. Scrivens and the niece of Soror Lorene K. Robinson. She is married to William Earl Wilson and they have a son, William Austin. Danielle has held several positions within Zeta on the local, state, and regional levels. Past positions include serving as her local chapter's President, First Vice-President, Parliamentarian, Undergraduate Advisor, the 8th Maryland State Director's Executive Assistant from 2005-2009, 15th Atlantic Regional Director's Executive Assistant in 2009 and Maryland State Representative to the Regional Elections Committee in 2012. Danielle has been a Life Member since 2013, Diamond Life Member since 2014, and she received her Zeta Organizational Leadership (ZOL) certification in 2005 as part of Cohort I. On August 2, 2012, Danielle was appointed by International President Dr. Mary Breaux Wright as the 10th State Director for Maryland. Danielle has served as the moderator and facilitator of Zeta's International Town Hall Meetings since 2012 and is one of four State Directors who were appointed by International President Wright as inaugural Group Leaders for Zeta's State Directors since 2013. Professionally, Danielle is employed as an Administrator for the District of Columbia Public Schools. Danielle is a certified educator, administrator, literacy specialist, and superintendent for Maryland, New York and the District of Columbia. Danielle is a member of Set the Captives Free Outreach Center, Inc. in Windsor Mill, Maryland and her interests include music (singing/dancing),shopping, spa experiences and traveling. Anjanette Highsmith is a proud product of Zeta Phi Beta Sorority, Inc.'s "Glorious" Gamma Kappa Chapter; where she became a member on April 24, 1992 at Rutgers University. 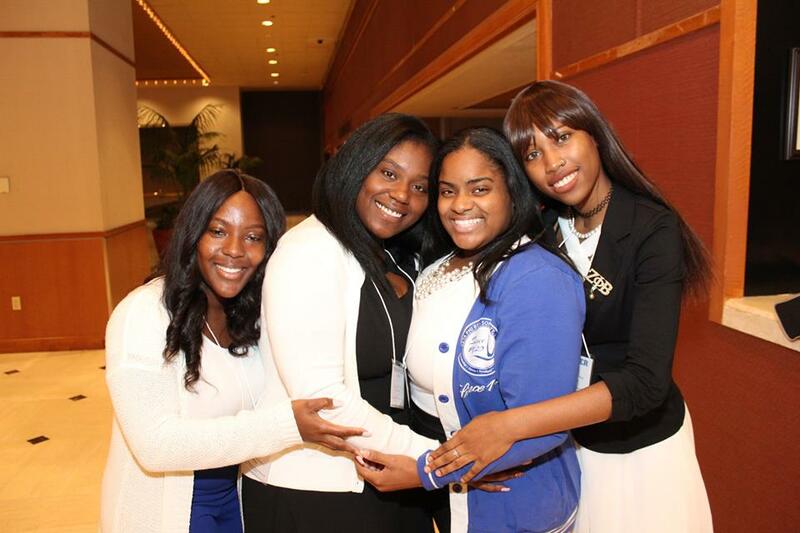 Upon graduation, Anjanette became a member of Plainfield, New Jersey’s "Electrifying" Eta Omicron Zeta Chapter. Anjanette's Zeta service for Eta Omicron Zeta Chapter includes performances in the position of Chapter Basileus, 1st Vice President, Parliamentarian, Historian, and Youth Advisor. She also served as the parliamentarian for the State of New Jersey. She received her Zeta Organizational Leadership (ZOL) Certification in 2011. Anjanette became a Life Member in 2013 and is honored to have been named 14th State Director of New Jersey in July of 2016. Nilda E. Rivera is an attorney at Paul, Weiss, Rifkind, Wharton and Garrison LLP, where she has worked in the Litigation Department since 2004. She is also a Professional Registered Parliamentarian and a member of the American College of Parliamentary Lawyers. Nilda is a member of several bar associations and has served as a mediator and arbitrator in both the Harlem and the Bronx Small Claims courts. She was appointed to serve on the Independent Judicial Election Qualification Commission for the Supreme Court of the State of New York. Prior to becoming an attorney, Nilda worked as a New York State Parole Officer as well as a Social Worker with New York Foundling in the Preventive, Foster Care and Independent Living Programs. Nilda graduated Stony Brook University, where she became a member of Zeta Phi Beta Sorority, Inc., through Theta Kappa chapter in 1985. She has served on the local, state, regional and national levels in various roles as a member of Kappa Epsilon Zeta Chapter in the Bronx, New York. She is currently the President of the Kappa Epsilon Zeta Scholarship Fund 501c3. She is a Diamond Life Member and a 2020 Visionary. 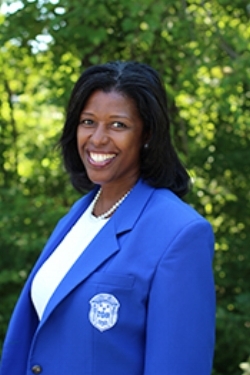 Barbara A. Cousar has been a member of Zeta Phi Beta Sorority, Inc., since 1981. She was initiated through Mu Kappa Chapter at Indiana University of Pennsylvania, and is a charter member of Rho Chi Zeta Chapter where she currently holds membership. As a member of Zeta Phi Beta Sorority, Inc. for the past 30 years, Barbara has served on the local, state, regional and national level. She holds a Bachelor of Arts from Indiana University of Pennsylvania and a Masters of Science from the University of Pennsylvania . Professionally, Barbara is an educational consultant assisting students with college preparation. Barbara was appointed as the 10th State Director of the Commonwealth of Pennsylvania in August 2012. 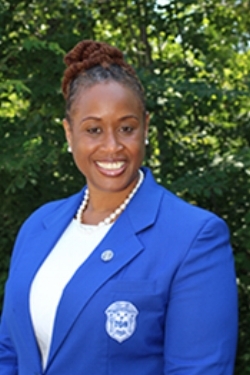 Soror Draper-Moore has been a member of Zeta Phi Beta Sorority, Incorporated since 1976, being initiated into Alpha Chapter at Howard University in Washington, D.C. She is currently a member of Delta Omicron Zeta Chapter, in Boston, Massachusetts, where she has served as chapter Basileus from 2008 until being appointed as Tri-State Director in 2012. She has also served in the capacity of Third Anti-Basileus, Undergraduate Advisor and Grammateus. Soror Draper-Moore was also the Tri-State Grammateus from 2003 to 2009. Soror Draper-Moore received her Zeta Organizational Leadership (ZOL) Certification in 2005 as part of Cohort 1, and has been a Life Member since 2007. She graduated from Georgetown University, in 1978, with a Bachelor’s Degree in Foreign Language, and has held Certifications in Personal Training and Yoga. Professionally, Soror Draper-Moore enjoyed a 27 ½ year career with Delta Air Lines, Inc. leaving the company as a Call Center Manager. She has also worked for Vantage Deluxe World Travel as their Call Center Director, and for the U.S.Census Bureau as their Lead Administrative Specialist. Soror Draper-Moore has two daughters, Soror Kristen Moore of Delta Omicron Zeta Chapter, and Heather Moore, both graduates of UMass/Amherst.